Frederich W. Tesch is the author of The Eel, 5th Edition, published by Wiley. John Thorpe is the editor of The Eel, 5th Edition, published by Wiley. Ray J. White is the translator of The Eel, 5th Edition, published by Wiley. "This is a new translation of an extremely important book. The Eel is the standard work on the genus...It is essential reading and a reference for scientists and aquaculturists, eel fishermen, angling clubs and river managers...A fascinating book, even for a lay person, it answers so many questions that one has about this 'slippery creature'." "This English translation of the third German edition contains new infomation from over 500 published papers." 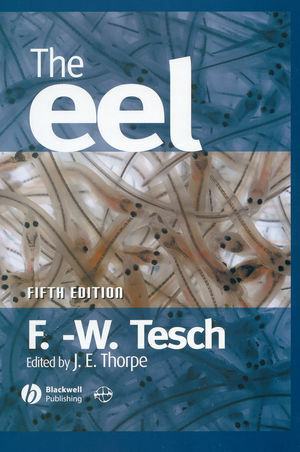 "In the comprehensive third edition of this text and the first English translation, Friefrich Texch covers the biology, ecology, breeding, and commercial significance of the eel. This revised and updated text includes findings from more than 500 new scientific publications."